If you were fated to die tomorrow what would you want for your last meal? It’s an amusing game mulling over such details as the food, the setting, whom to share this momentous occasion with and one not surprisingly played by many chefs. Acclaimed photographer Melanie Duneau posed the question to 50 of the top names in the culinary field – those chefs who have elevated the craft of preparing food into art – and in doing so provides us with a collection of revealing, insightful and engaging profiles. Duneau asked each chef to respond to the following set of questions; What would be your last meal? What would be the setting? What would you drink? Would there be music? Who would be your dining companions? Who would prepare your meal? It is an eclectic group and the responses naturally vary wildly and through providing details on such a personal experience each chefs reveal much of themselves. It makes for compelling reading and comparisons – for examples, who prefers the Rolling Stones over Bach for music, or Versailles versus home in front of the telly for the setting. 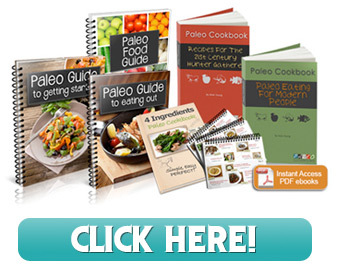 Following the profiles there is a section of recipes based on the chef’s chosen meal. Organized alphabetically by chef, there are such diverse offerings as Ferran Adria’s Cod Foam with Honey Flavored Baby Onions; Raymond Blanc’s Maman Blanc’s Apple Tart; Anthony Bourdain’s Roast Bone Marrow and Parsley Salad and Thomas Keller’s Roast Chicken. The favorite dish of the top chefs in the world pulled together in one book, pretty exceptional. These are recipes both to inspire and have some fun with. 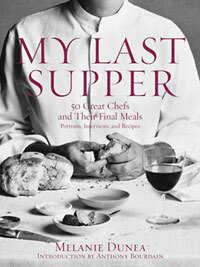 My Last Supper is a book to be relished and enjoyed for offering insight into a unique group of people who share a commonality in their love of food and as a collection of beautiful photographic portraits. I also liked this book.